What’s a TAM? – Happy. Healthy. Heathen. The fun thing to do is to write about everything that’s happening here! Amy and I have scooted out of town for a quick few days to Las Vegas to the 9th gathering of the Amazing Meeting. What a perfect adjective! TAM is an annual celebration of science, skepticism, and critical thinking (right off the website). It is our first time to attend, so I’ll be adding our perceptions and experiences as they happen. Today is mostly workshops. The run 2-at-a-time all day, so Amy and I are going to split up, then text like maniacs to decide which one go to! Our first two this morning are Defending Evolution in the Classroom (me) and Examining UFO’s and How to Make Your Own Without photoshop (Amy). That’s followed by Investigating Monster Mysteries (Amy) and Recurring Themes in Medical Mythology (me). It’s my hope to blog tonight about all of today’s events, but we also have tickets to the 12:10 showing of Deathly Hallows, so I don’t even know if I’ll be conscious by then! The conference is being held at the South Point Casino, and we’re staying on the 22nd floor – we have a view of the pool which we intend to critically investigate later today. On the casino floor is that very Vegas dingdingdingding that you hear for days even after you’ve left. We don’t think we’re going to gamble – maybe penny slots – but we like to watch other people lose money. So I’ve written before about how all of my heroes are academics: guess whose oxygen I will be breathing at this meeting? 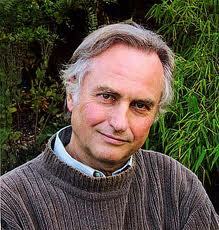 If atheism had a deity, it would be Richard Dawkins, and he’s here! I’ve got all of his books but one, but I didn’t see that one in the exhibit hall; Amy and I both brought our copy of God Delusion for autographs. Go ahead, call us fangirls, we know who we are. But there are two more speakers I’m as excited to hear as Dawkins. 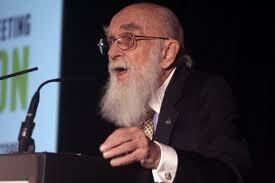 One is the founder of TAM and the James Randi Education Foundation: James Randi. 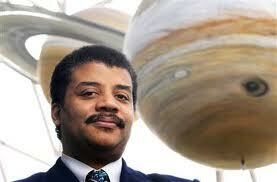 And finally, here, in Vegas for me to meet and see and listen to: Neil DeGrasse Tyson!!!!!!! He’s an astrophysicist and director of the Hayden Planterium, and he’s one of the best speakers I’ve ever heard (youtube him). He’s funny and engaging and so so smart. He’s played himself on Big Bang Theory, and he’s been on Daily Show and Colbert a few times. He’s speaking on the timely topic of Our Future in Space. Amy’s geeked about seeing Bill Nye, the Science Guy. He’s on a couple of panels and is doing a presentation too. I’m going to wait to write about the party at Penn Jillette’s house. Just really don’t know what to expect with that, but can’t wait to go! I know, not much review, but we just got here last night! We hung in the bar a bit with some friends I had met in Des Moines. We called it an early night because of the time change and tonight’s late date with the movie theatre inside this hotel! Gotta go run and think….thanks for reading!! Oh? You’re going to a medical panel? Does that mean you’re going to get to talk to Orac?